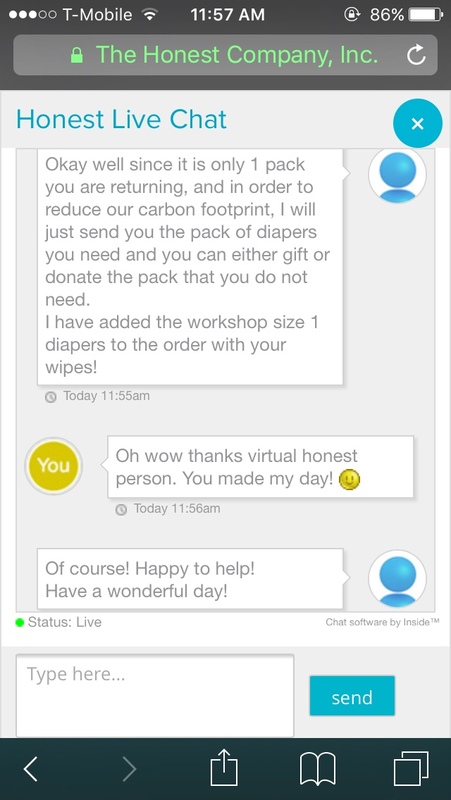 I cannot get enough of The Honest Company. Not only was it created by Jessica Alba and her husband Christopher, but “unquestionably safe, eco-friendly, beautiful, convenient, and affordable…”. 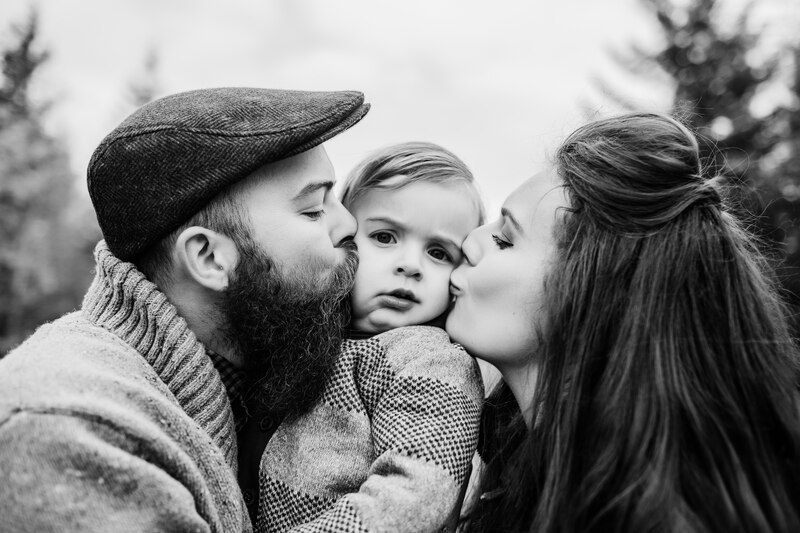 You can read all about them here: Our Story. 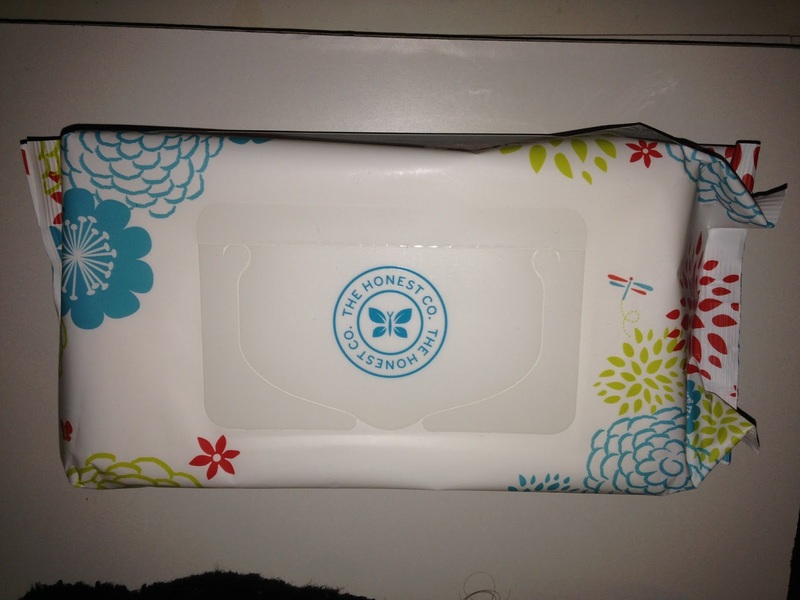 I first heard of The Honest Company online on a youtube video, watching one of my favorite vloggers. Their products looked so pretty and fun! I knew once we had a kid I wanted try them out. They even started to sell at Target which made me super excited! When our first bundle arrived last month, I was impressed by the packaging and cuteness of their shipping boxes. Every little detail created a fun experience. They really put a lot thought into their design and overall brand appearance. You save 35% if you order online rather than buying at Target basically getting the wipes free. 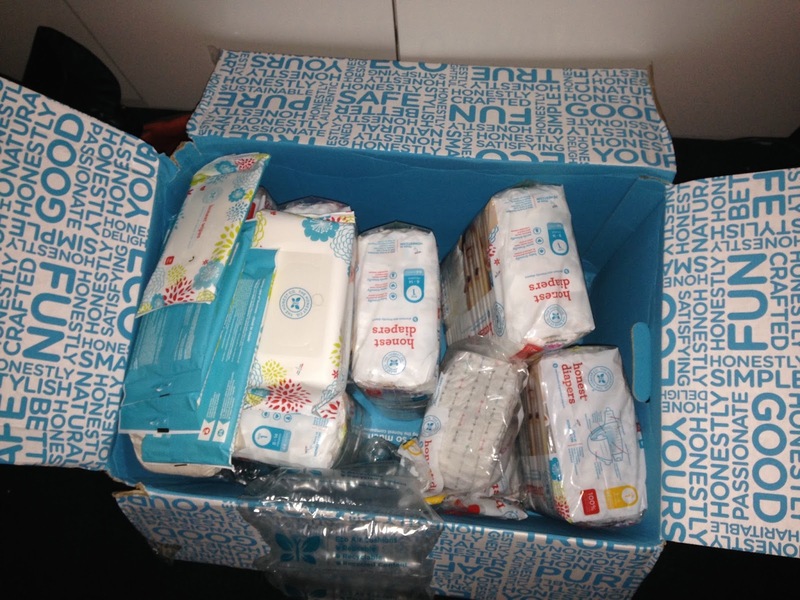 If you grow out of a size, you can ship an unopened pack of diapers to them to be exchanged for the next size up for free. There is a $9 restocking fee. No need to drive to the store, it comes right to your door! I live over 30 mins away from Target so it’s great to save on gas. 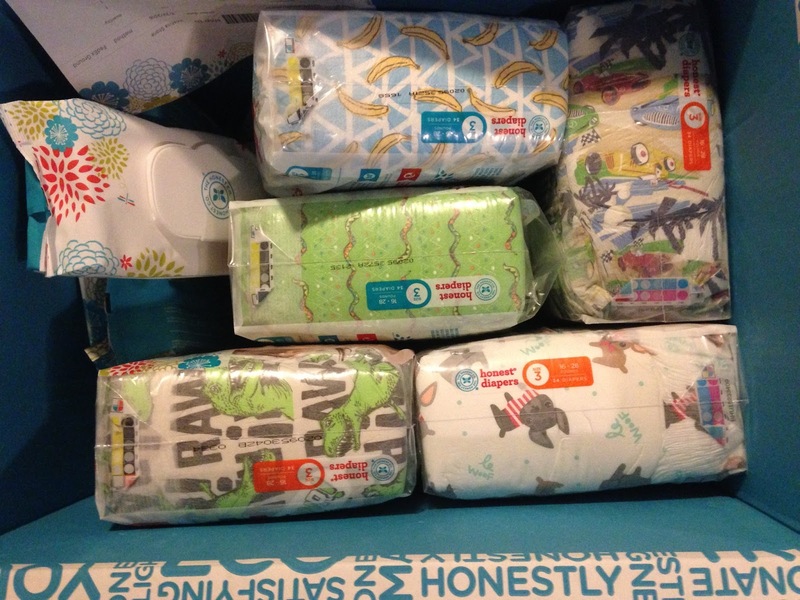 You can customize your bundle by selecting diaper designs, add other products to your bundle and also saving 25% on each item you add, and customizing your ship date. You can go online anytime and change things. Customer service sends things quickly! 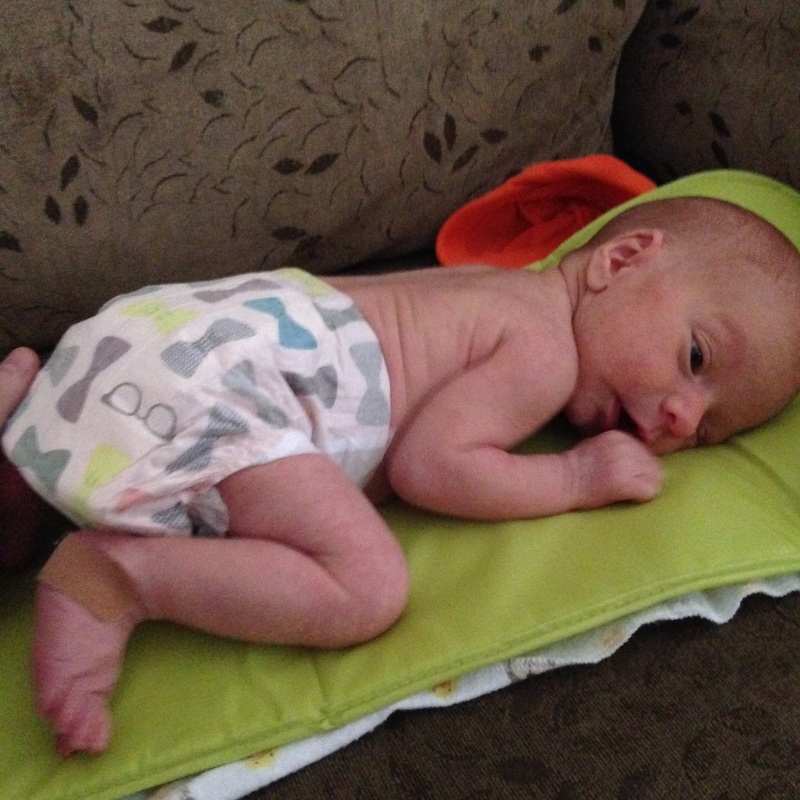 Liam has not gotten a diaper rash ONCE since he was born. 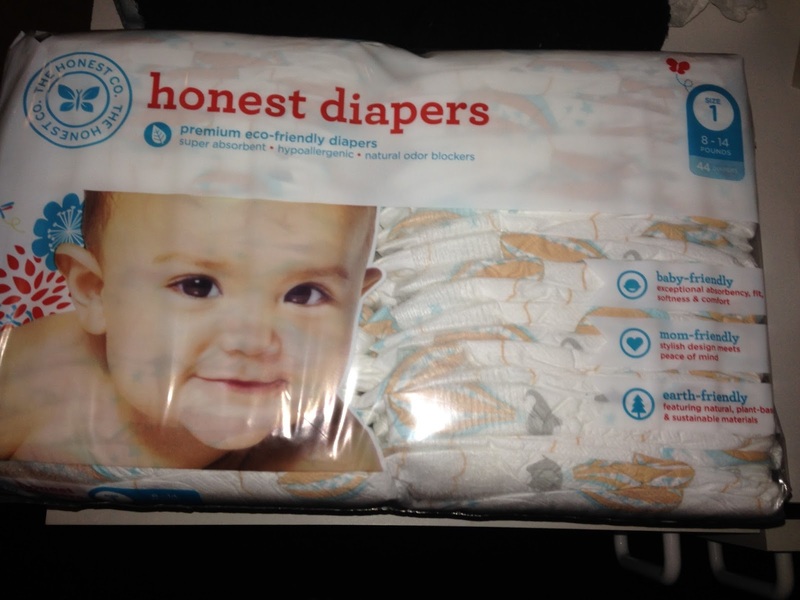 These diapers do not leak unless a. you wait too long to change or b. they have grown out of that size. I LOVE LOVE their diaper designs. I know it is silly to love something that they poop in, but it is fun to pick out designs you like. On their site you when you order a bundle, you can choose up to 6 designs, however there are more! Here is an example of one. We currently have arrows, balloons, and toolbox designs. 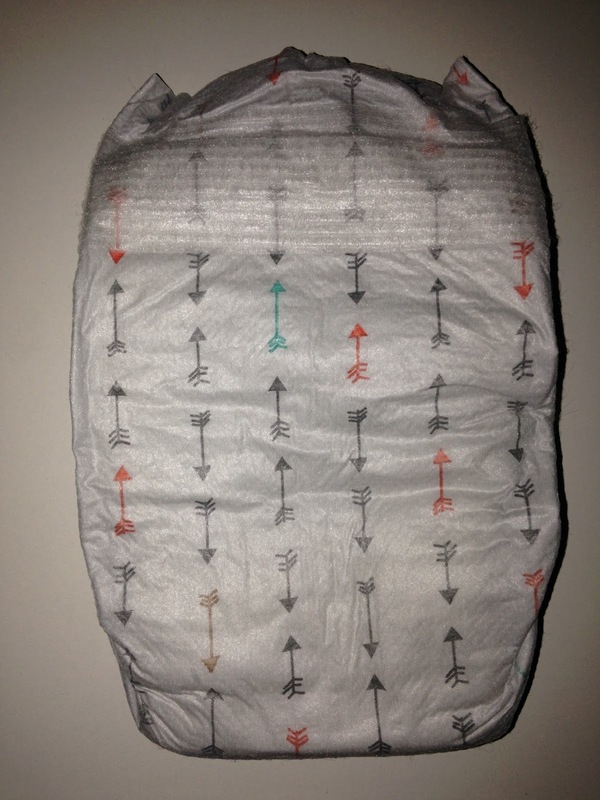 The diaper itself is very durable, made with eco friendly materials, and easy to put on. They are great wipes. The only down side to them in my opinion is that they are not as wet as I prefer however, they still get the job done in one wipe unless it was a lot of poo. They do not have a strong smell due to the fact they are safer to use and have more natural materials. They are very soft and gentle. I have used them on my face a couple of times and I have not gotten an reaction. I just love that they are made from safer materials! 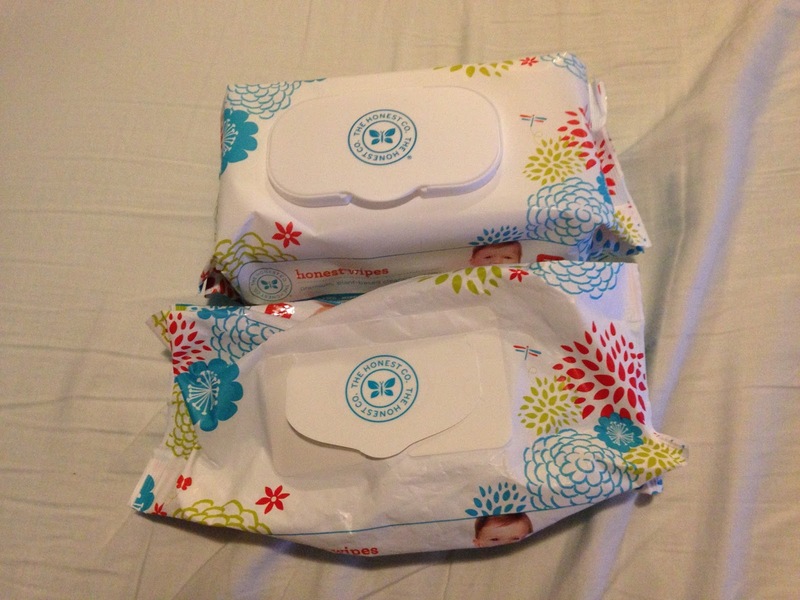 Our second bundle arrived and when I started to use the wipes, they smelled strong of burnt plastic. When I contacted The Honest Company they gave me extremely great customer service and explained to me why they can smell that way. They recently changed the packaging of the wipes and it is WAY better than before. They now have a hard plastic snap top. It now keeps the wipes more moist and it also is more durable because the last packaging would fall apart sometimes and dry out the wipes. I am very satisfied! Every time I contacted them, they were extremely helpful and nice. When I first ordered the bundle, I had accidentally order two shipments, and I was able to cancel and ship it back free and got my money back. Second time, I went online and used their instant message service. 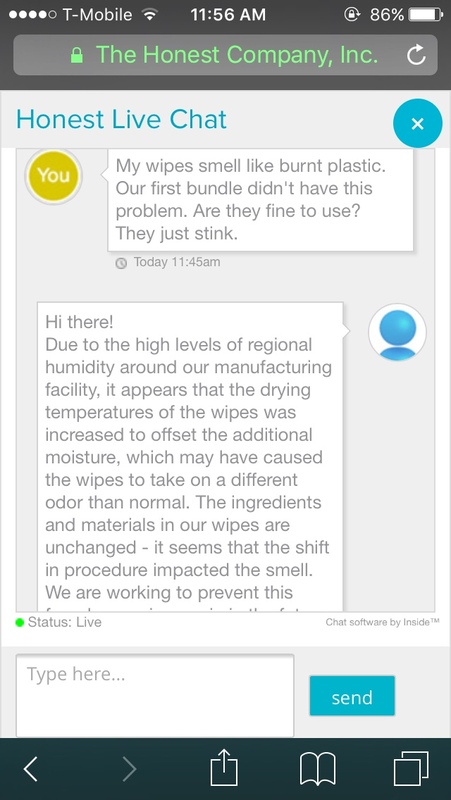 I had a question about the strong smell the wipes had in the second bundle. 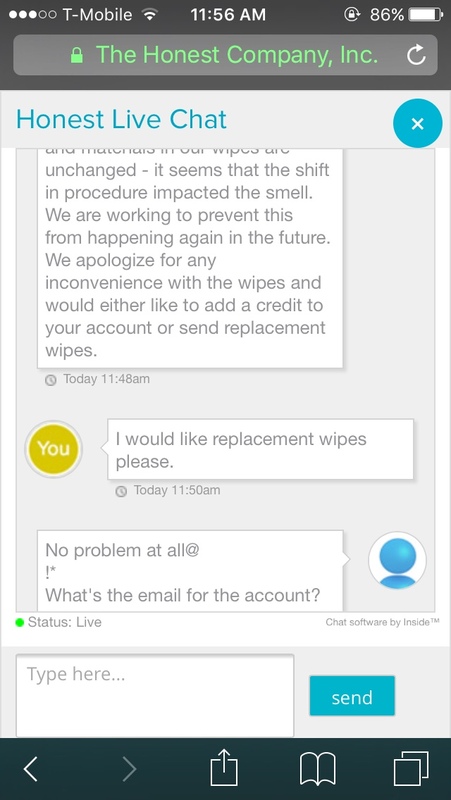 They explained to me why, asked if I wanted store credit or new wipes and I ended up with 4 new packs of wipes! 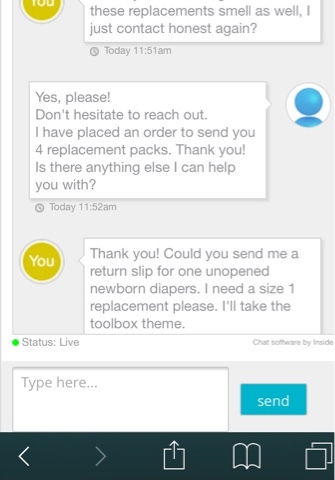 I also had one extra newborn diaper pack that we didn’t need and asked if I could exchange it. Since it was only one pack, they told me to gift it rather than ship it back and they will exchange a size 1 pack to me for free. I love their service and highly recommend them to anyone! ← Liam is Officially Crawling!